After the amazing success of Ted ($550 million worldwide) it's no great surprise to see everyone's foul mouthed Teddy return for a second outing. Seth McFarlane will again voice Ted and Mark Wahlberg is back as John Bennett. Amanda Seyfried and Liam Neeson are also in tow and we are expecting it to be just as funny as the first, which has a huge cult following. 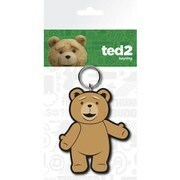 This new talking Ted speaks phrases from the new film. 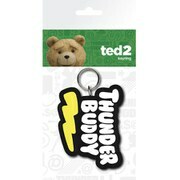 The Ted 2 Wacky Wobbler figure stands around 15cm tall.